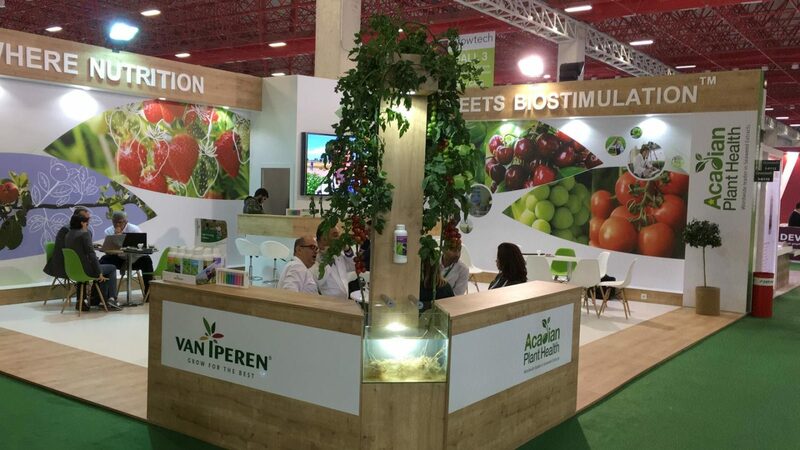 Last week, we were happy to welcome our partners and meet new contacts on our booth at Growtech Eurasia in Antalya, Turkey. Growtech is the world’s biggest exhibition for the greenhouse industry. It was held for the 18th time, with over 800 companies from more than 160 different nationalities represented. Paul El Safty (Director of Sales) and our local Sales and Agronomist team met with many of our partners from the Middle East, Eastern Europe, Asia and North Africa for a total of 42 countries. The focus was on our High Performing Solutions, including Iperen WAKE-up®, Iperen IPE® Technology and our FoliaStim® range. This year, we gladly shared the booth with our seaweed partner Acadian Plant Health™ from Canada. In close cooperation with this world leader in algae based biostimulants, we created our FoliaStim seaweed range. Distribution agreement with Vegalab Inc.